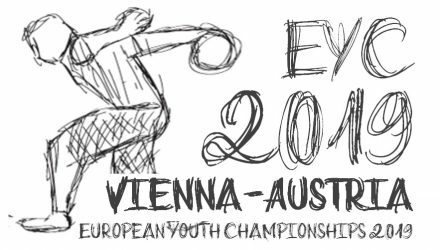 The 32nd edition will be held for the third time in Vienna, Austria from the 12th to 22nd of April at the 32 lane Plus bowling Centre. 29 Countries with 65 female and 96 male participants will battle it out for Gold and a place in ETBF history. Sweden’s Tony Rosenquist Asa Larsson were the first Masters winners back in 1978 and Sweden top the charts for most masters wins with 8 Masters Gold for the girls and 14 Masters Gold for the boys. 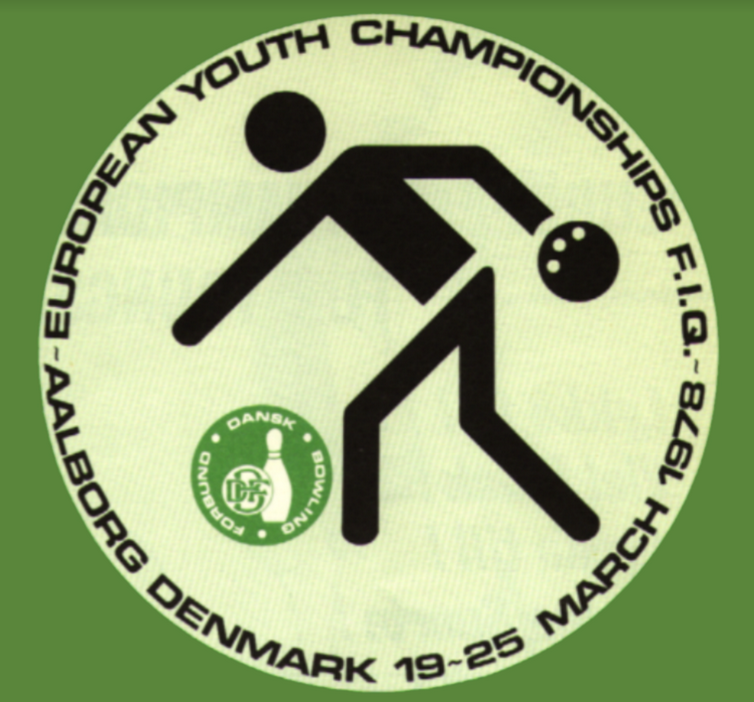 Past winners including some names you may know from what they did after junior bowling, Martin Larsen (1994), Jesper Svensson (2012), Gemma Burden (1996) and Daria Kovalova (2012) among a host of others which you can view here. Play got underway on Monday with the boys doubles and after two squads it was Germany’s Paul Sullivan Purps and Patrick Weichert leading the field into the semi finals with 2650. Second was The Netherlands and taking the two final spots for Tuesday’s final was Finland and a second German team of Lindacher and Hübner. 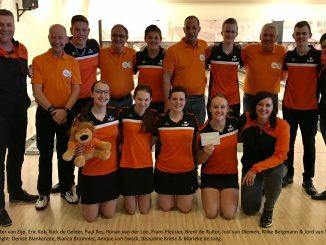 Tuesday saw the Girls get on the lanes for the first time and after two six game squads it was the Dutch pair of Sharon Rietveld (1222) and Beudine Kriele (1167) heading into the finals in pole position with 2389. Second was Sweden with 2387 followed by Norway (2369) and Finland (2351). In the Boys Semis The two German teams faced off with Purps and Weichert coming out on top to face the Dutch pair of de Ruiter and Bergman who defeated Finland 482-406. The pair then went on to defeat the Germans 440-406 to claim Gold. Girls Semis and Finland vs The Netherlands and Norway vs Sweden was Finland take out the Dutch 443-384 as Norway sent out Sweden in a closer match 392-373. The final and Gold then taken by Norway’s Mila Nevalainen (173) and Peppi Konstreri 386-353. Sweden, Denmark, Finland and Germany took the top four places in the Girls’ team event after the first block of three games. Nora Johansson (636), Ottilia Gunnarsson (626), Ellen Ekholm (582) and Hanna Engberg (570) lead the teams with 2414. Denmark hit 2405. Finland third with 2405 and Germany was fourth with 2234. After the six games it was Still Sweden at the summit with 4795 as Finland moved up to Second, Denmark holding on in fourth as a move from England placed them third. It has been a traumatic few days for the French with news of a fire in one of their most iconic buildings and it seemed to inspire and drive the French boys to the top in the team event with a fine 2692 and highs from Enzo Franco with 745 and Maxime Dubois with 716. Denmark placed second with 2500 as Finland were third with 2482 and Russia fourth with 2411. After six games it was the same position for France at the top going into the semi finals with5046 with Germany in second on 5017, Denmark in third with 4924 and Belgium fourth with 4854. Denmark vs Sweden and England vs Finland in the girls semi finals and joy for the Danes and English as both went through. England taking out Finland 781-734 and Denmark sending out Sweden 784-746. A memorable win for England in the final as they retained the title they won in 2017 and 2018 but it was not easy. The match tied at 761, England won the roll off 38 to 36. For the boys France vs Belgium and Denmark vs Germany. Happy this time were France beating Belgium 817-800 and The Danes taking out the Germans with a massive 909-799 win. Joy though for the Danish Boys as they defeated France in a close call 758-750 win and high from Nicklas Brade with 226 taking Gold and leaving France with a Silver. The boys really opeed up in the singles and strikes everywhere saw Dutchman Brent de Ruiter at the top with 1402 followed by the Czech Republic’s Lukas Jelinek with 1382 and Maxime Dubois third with 1375. Takig the last spot in the semi finals and doing it with a 300 in the very last game was Latvia’s Artemijs Hudjakovs with 1373. 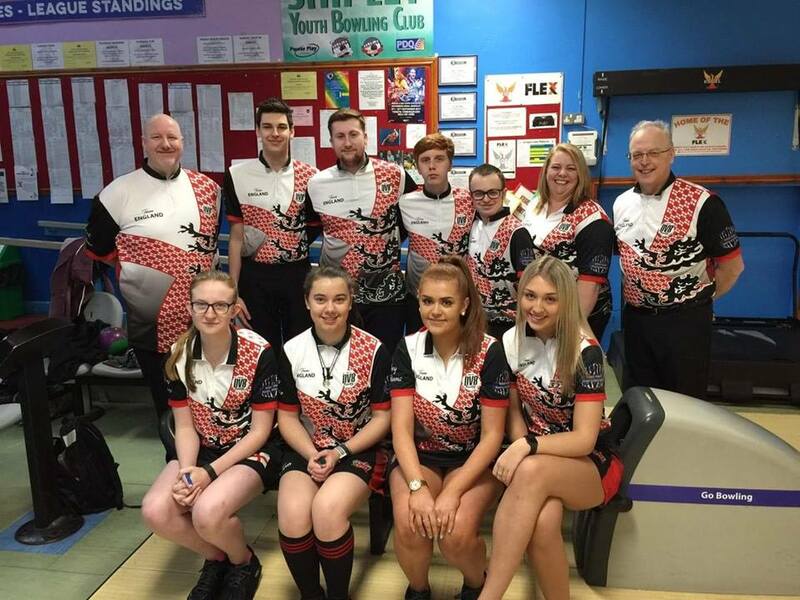 Saturday saw the girls on the lanes again and Russia’s Victoria Kashirskaya pole with tied with Germany’s Nele Niehusen as Malta’s Sara Xuereb was third with 1248 and Andrea Kvernhusløkken of Norway taking the last semi final placing. Onto the semi-finals and in the boys division, Brent de Ruiter of the Netherlands defeated Latvia’s Artemis Hudjakovs 197-156. In semi-final 2, France’s Maxime Dubois swept aside Lukas Jelinek of Czech Republic 279-204, to meet Brent in the final. Maxime continued his run and emerged winner 209-202. In the girls, Victoria Kashirskaya defeated Andrea Kvernhusløkken 209-162 to book her place in the final against Sara Xuereb who knocked out Nele Niehusen 210-166. Joy for Russia as Victoria took the gold medal beating Sara 193-172. The Masters is always an exciting event and no doubt tensions were high as the bowlers gathered in the centre this morning to see which boy and girl would emerge European Champion. In the Boys Masters, Pyry Puharinen of Finland got out of the blocks early shooting 266-232 to knock out Russia’s Maksim Landau. Oliver Dahlgren of Sweden also meant business, shooting 710 in his three game match against Germany’s Felix Hübner. However, it was Pyry’s dominant form that would continue all day as he ran through the Masters, finally meeting Patrick Weichert of Germany in the final. Pyry’s form continued and despite losing the first match 234-224, he rallied with a thrilling 247-246 win in game 2 to force a decider. Game 3 and a 245 to Patrick’s 171 would see him take home the gold for Finland. It was not the greatest of starts for England in the boys doubles with one pair in 19th and the other in 31st. A bright start for Redman and Mudge with 392 was followed by two lower games of 317 and 363 but effort put them back on track with 402 and 415 before falling away with 315 and 2204 overall. 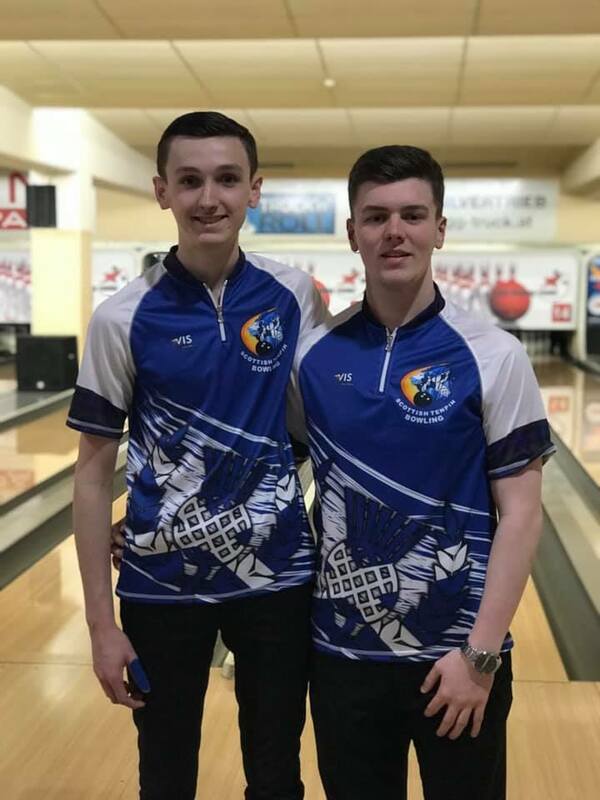 Back from the World Youth Championships McCarthy 1106 and Austin Taylor 1186 fared better with 2292 and suggestions of their talent in higher games of 422 and 437 towards the end. A 143 for Taylor in the last game will have disappointed after working out the pattern with highs of 232 and 245. For the Girls it was not a great Tuesday and both teams placed 16th and 19th. Jennifer Grace and Lucy Williams with 2197 and Isabel Allen and Rhian Dobinson with 2185. 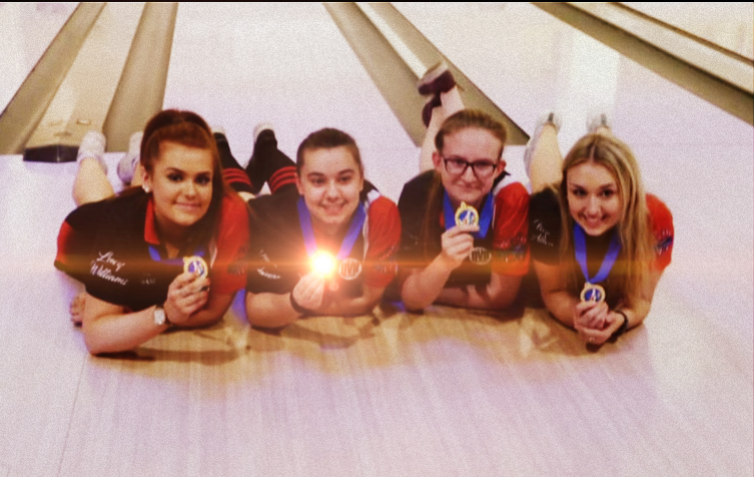 Just 14 pins off the top four with 2220 was the result of a decent day on the lanes for the England girls. Jennifer Grace the pick of the players with 600 as Isabel Allen hit 586, Lucy Williams 538 and Rhian Dobinson 496. All eyes will be on the second block and breaking into the finals places. That is exactly what they did as a fine second block 2411 saw the girls leading the field over the three games and moving them into a finals place in third. Doing most of the damage was Isabel Allen with a fantastic 670, Dobinson adding 591, Williams 556 and Grace 594. The boys were back in 13th after the first three games with 2254 and high from Alex McCarthy with 597 followed by 588 from Thomas Redman, 548 from Connor Mudge and 521 from Austin Taylor. That all changed in the second block as Austin Taylor was a different player firing 231,248 and 232 for 1232 for the six as Redman hit 1188, McCarthy 1186 and Mudge 1138. &th place at the end with 4744. 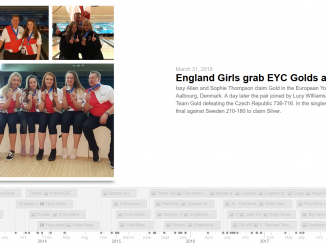 England Girls have a pretty good record in the Euro team event and hopes were high for Gold as they breezed past Denmark 781-734 and highs from Allen with 220, Williams with 205 setting up a final against Denmark. Then came the final and could not have been closer as both the Danes and English tied on 761 as Williams hit 211, Grace 223, Dobinson 183 and Allen 144. The danes in return had a 267 and 123 in their scores and this could go either way. It went England’s way with a roll off 38-36 win and the team retained the Gold they won in 2017 and 2018. Isabel Allen picking up her third EYC team Gold in a row and a second for Lucy Williams. Boys were first up on Friday for six games and pick of the England bunch was Alex McCarthy in 35th with 1161 as Austin Taylor placed 52nd on 1116 then Connor Mudge in 67th with 1063 and finally Thomas Redmond in 82nd with 995. Lucy Williams in 9th with 1189 was England best placing in the girls Singles as Isabel Allen placed 21st with 1141, Jennifer Grace with 1109 in 29th and Rhian Dobinson in 50th with 1046. Some joy though as Isabel Allen, Lucy Williams and Jennifer Grace both make the masters finals on Sunday. Isabel with 3515 in 11th, Lucy with 3395 in 19th and Jennifer in 21st with 3388. High hopes for England in the masters with three of the four girls qualifying. 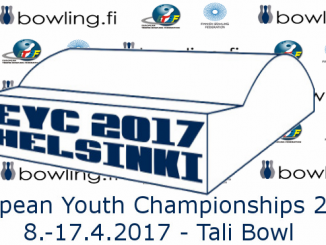 There was joy for Issy Allen as she defeated Finland’s Reetta Neuvonen in a three game match, winning the final game by just 2 pins 219-217. Lucy Williams fell to Maltese starlet and singles silver medalist, Sara Xuereb, and Jenny Grace was eventually defeated by Sharon Rietveld of the Netherlands in three games. Lucy and Jenny’s tournaments end here, but a great perfomance from both. In step two, Issy Allen met Russia’s Victoria Kashirskaya, sweeping the win in two matches 211-194, 210-174. She now proceeds to step three, one of the final 8 girls remaining in the tournament. Despite losing the first match to Germany’s Pauline Krause 245-216, a consistent Issy won the next two matches 213-207 and 214-165 to book herself a place in the semi-final, guaranteeing herself a medal. Semi-final time and Issy met Beaudine Kriele of the Netherlands. Despite opening with her lowest game of the masters, 191, Issy rebounded strongly with games of 235 and 245 to book herself a place in the final against Sweden’s Hanna Engberg. No doubt inspired by best friend Sophie Thompson’s silver medal perfomance last year, Issy was focused on getting the job done and upgrading England’s silver medal from last year to a gold. It was a strike fest as she got out the blocks early shooting a stunning 279 to Hanna’s 216. Game two saw Hanna answer back with a 249 to Issy’s 232, forcing a third game to decide the winner. Issy never faltered and finished the job 200-175 to bring that gold medal home for England. 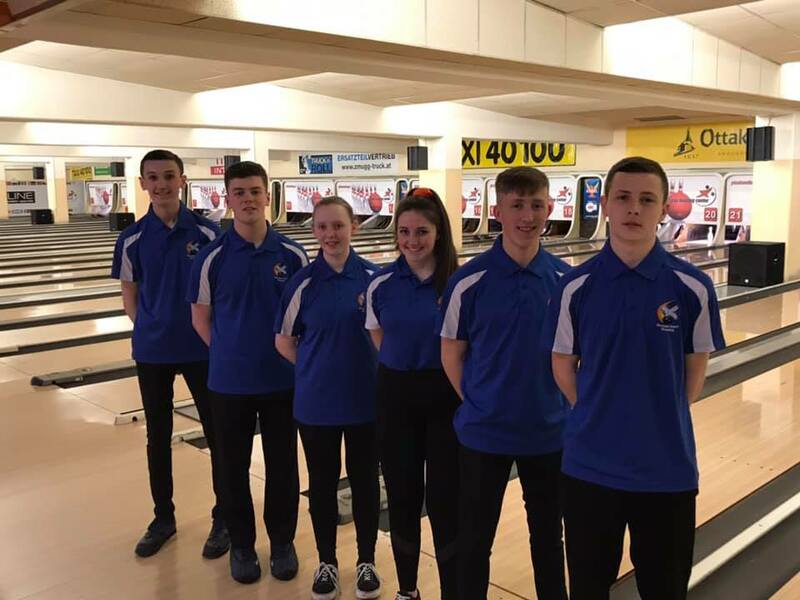 26th and 30th for Scotland in the doubles and Euan Coote the pick of a new look young Scotland team with 1149 and a stead Callum MacKenzie with 1077. Way off the pace but only a few strikes from a much higher average. The pair of Smith and Addison were more up and down with their games but plenty time to improve in the following events during the week. The sole girls team of Rachael Buchanan (974) and Holly Bisset (950) placed 28th out of 29 with 1924 in their first major championships. They don’t call them Scotland the Brave for nothing. The young Scots boys put in a good performance for 16th with Euan Coote shining with 1195 after opening with 235 and ending with 223. in fact the boys saved the best till last when they fired a high 863 in the sixth game. Euan Coote came out top Scot in the singles with 46th place 1136 as Daniel Addison placed 6oth with 1090 followed by Callum MacKenzie in 62nd with 1083 and Jason Smith in 93rd with 903. The Scottish Girls placed 46th and 49th with Rachael Buchanan on 1057 and Holly Bisset on 1053.